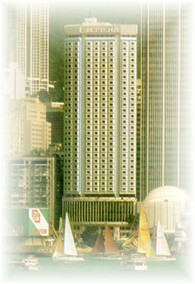 The Excelsior is located in the heart of Causeway Bay, Hong Kong's Shopping, dining and entertainment centre. It ideally situated for all of Hong Kong Island's tourist attractions, and only a few minutes from the main business district. Seeking dining pleasure can be the highlight of one's stay. The Excelsior caters to the most sophisticated taste with its stylish six restaurants, bars and lounges offering a magnificent array of cuisines from all over the world.